Ryde calls itself the gateway to the Isle of Wight, and it certainly provides the fastest communication to and from the mainland and is also one of the Island's most popular resorts. The first record of life in this part of the Isle of Wight dates from about the 10th century when its name was given as Ashey. There was a small fishing community clustered on the shore near the mouth of a stream or tithe, which eventually gave its name to the town that ultimately spread across the two communities by 1780. A regular ferry service with Portsmouth was set up in 1805, but as it was dependent on sail, the crossing time was erratic. Disembarkation was also sometimes a problem, for at low tides the ships had to anchor off-shore, and passengers were taken ashore by horse and cart, or if they were in a particular hurry might be carried piggyback by members of the crew. This practice ceased in 1815, when the pier was opened, and in 1825 a regular steam packet service was inaugurated, bringing the crossing time down to about 35 minutes. Today the journey from Ryde to Portsmouth Harbour takes 15 minutes by catamaran; an electric train (refurbished 1930s London Underground carriages) runs from the pier head to Shanklin. The marina has four main pontoons enclosed by a harbour arm, providing a sheltered haven for small craft. 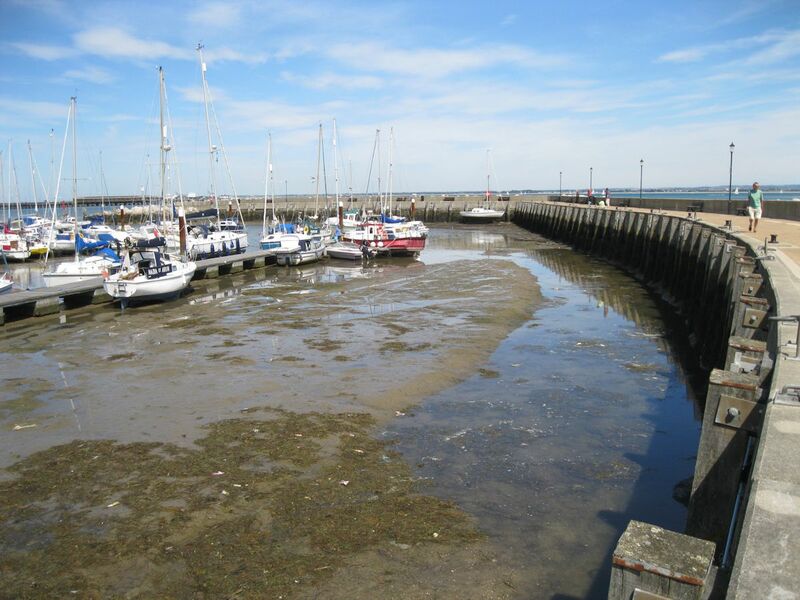 Berthing for larger craft and long keel yachts is provided on the harbour arm. There is provision for 100 permanent berths and up to 100 visiting boats, the majority of which are family sailing and motor cruisers varying in length from five to twelve metres. A wide range of facilities and amenities are available for all craft, making it especially suitable for visiting families. The mooring fees are very competitive, thus making Ryde one of the best value for money places to stay on the south coast.